Create a Patchstick for your AppleTV. Is there a better alternative to PatchStick Builder? Is PatchStick Builder really the best app in Music category? Will PatchStick Builder work good on macOS 10.13.4? 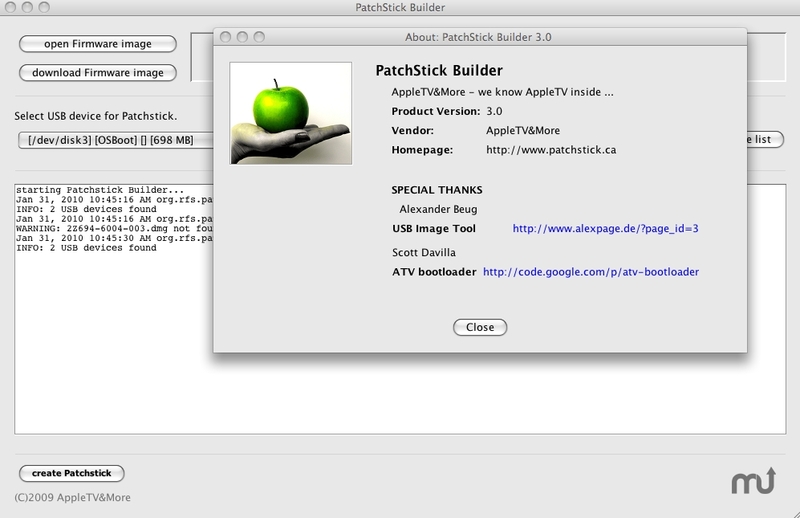 PatchStick Builder is a multi-platform application that allows you to easily create a Patchstick for your AppleTV. This free base version can easily be upgraded to the full version. 2 GB of free disk space. Working Java stack 1.5.0 or higher. PatchStick Builder needs a rating. Be the first to rate this app and get the discussion started!